WE’VE BEEN DESIGNING AND BUILDING LIFEGUARD UNITS FOR RNLI (ROYAL NATIONAL LIFEBOAT INSTITUTION) LIFEGUARDS TO OPERATE FROM SINCE 2009. THE RNLI PROVIDE LIFEGUARD COVER ON MORE THAN 200 BEACHES AROUND THE UK. THEY APPROACHED US LOOKING FOR AN ALTERNATIVE TO ITS EXISTING HEAVY, TIMBER-FRAMED STRUCTURES THAT WOULD BE LIGHTWEIGHT, PORTABLE, AND OFFER SUPERIOR THERMAL PROPERTIES. EACH NEW LIFEGUARD UNIT WOULD BE SELF-CONTAINED AND OFFER ALL THE FACILITIES REQUIRED FOR PROVIDING LIFEGUARD COVER. We worked with the RNLI to deliver a bespoke solution. Our composite panel technology meant we could offer a lightweight, insulated and watertight structure, free from traditional timber or steel materials that would quickly degrade in the harsh coastal environment. The first Lifeguard Unit was installed on the beach at Sandbanks, Dorset in 2010. We now have more than 100 all around the UK coast, and iForm is the sole supplier of Lifeguard Units to the RNLI – something we are very proud of. 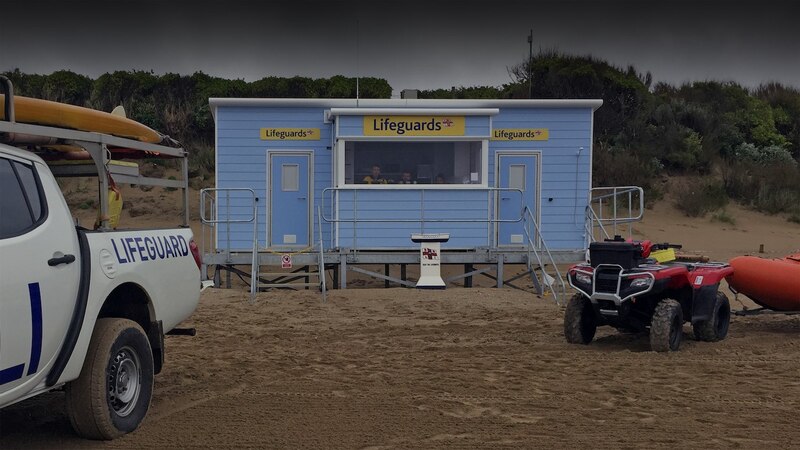 “WE WORKED CLOSELY WITH THE RNLI TO CREATE THE PERFECT SPACE FOR THEIR LIFEGUARDS TO OPERATE FROM. THEY WANTED A SELF-CONTAINED LOOK-OUT WITH POWER, WATER, GAS STOVE, AND STORAGE SOLUTIONS REQUIRED TO PROVIDE EFFECTIVE LIFEGUARD COVER ON THE BEACHES. IFORM HAS PACKAGED ALL THIS INTO ITS LIGHTWEIGHT, SUPER STRONG, VANDAL PROOF LIFEGUARD UNITS CAPABLE OF WITHSTANDING THE ELEMENTS WITH MINIMAL MAINTENANCE. THE CLEVER DESIGN ENABLES THE RNLI TO POSITION THE UNITS ANYWHERE THEY NEED, FROM CLIFF TOPS TO SHINGLE BEACHES.